On Wednesday, 27 February 2013, the United Nations University (UNU) welcomed Mr. Jan Eliasson, UN Deputy Secretary-General, for a Town Hall meeting with UNU staff members, UNU postgraduate students and other UN agency officials. Mr. Eliasson noted that Japan was his third destination on a three-country trip around Asia, after having visited the Republic of Korea and the People’s Republic of China. He underlined that these three countries are confronted with national and bilateral challenges and that especially the Republic of Korea and People’s Republic of China have become increasingly influential actors, not only towards their own citizens in terms of development, but also in the international community. Too often a false dichotomy is drawn between national and international challenges, when in reality, they are two overlapping concepts influencing geopolitical instability. Mr Eliasson stressed the importance of international and bilateral cooperation and the vital role the UN plays as a mediator in these efforts. He stated that, “while the UN system may be seen as a mirror image of the world’s reality, it can also be perceived as a projection of what our world dreams of being and it is the UN’s goal to narrow down this discrepancy”. Illustrating some of his life lessons and referring to his recent experiences, he inspired and animated the audience, thanking them for their meaningful work. He also used the opportunity to highlight some areas where the UN can improve and increase its effectiveness. For example, the numerous UN agencies need to enhance their transparency and cooperation, while mobilizing the young and talented to solve problems. He urged the younger generations to “try to change the world as soon as possible”. He also encouraged think tanks such as UNU to intensify their research in sociopolitical domains such as migration, organized crime, corruption and crisis prevention measures. Mr. Eliasson expressed the necessity to focus on the highly interlinked priority triangle of poverty reduction, development and the rule of law, while reinforcing younger generations’ engagement to find innovative solutions to the multidisciplinary challenges our world is facing today and will be facing tomorrow. 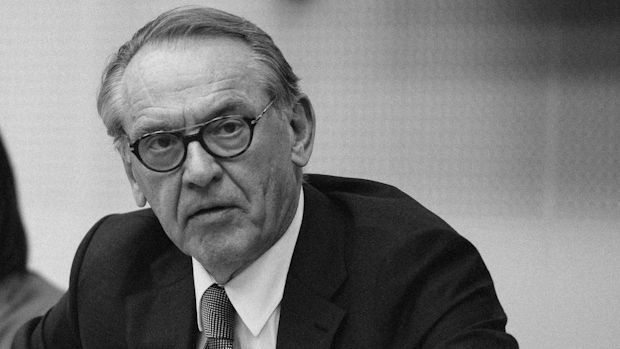 Mr. Eliasson finished with a reminder that “there is no peace without development and no development without peace, and there is neither peace nor development without the respect for human rights”.